When I was in the second year of high school, there was a song with those words in it. I was never much into peer pressure as I had grown up at the same school as Dad taught at and I was used to ignoring remarks of any kind and jibes. However, even at High School I was well up near the top of the class in most subjects. We won't mention maths. I was regarded as a swat. When that song became popular, I badgered my parents for it as a birthday present. I am sure they didn't know what was happening. It wasn't the sort of music I was interested in at all. However, they bought me a 45 rpm recording and if I think hard, I can still hear the wretched thing. Life is a bit like that recently, or perhaps I should say still. Miss M had yet more bone marrow biopsies and lumbar punctures yesterday. This was in preparation for the third round of chemo which was to have started a week ago but will now start next Sunday night. It is nasty indeed and requires fur days hospitalisation every two weeks. That cycle will go round and round for the next eight weeks. We managed to get them last Sunday for a while and the picture shows Miss M and big sister Miss T doing craft work some lovely knitter sent. Miss T's right arm is definitely broken, probably in two places and is still painful despite a full cast from finger tips to upper arm, almost the shoulder. Her dad found a T-shirt in a shopping centre which said, "Keep calm and break arms," so she now has that. It was late Sunday afternoon and a heavy thunderstorm was rolling in, so light was poor. That's another thing going round and round. Their mother really needs help as she cycles through various moods. On Sunday she was being charming, possibly helped along by other people being present. Yesterday she was rude and arrogant and actually just plain wrong. My fingers have been going round and round too. I finished a hat in Quince and Co, Owl, for youngest son. He likes philosophy and ancient history and has spoken to me of Socrates many times. It will tickle his fancy that the colour of this hat is named hemlock. 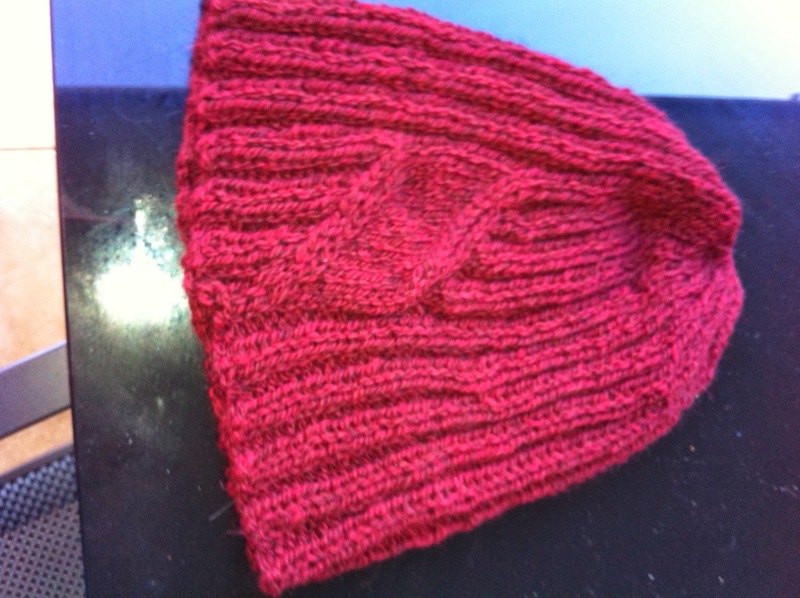 I made an adult size version in cranberry of a hat already made for Miss M. It's much darker than photo shows. I'm making yet another hat and my fingers are going round and round and round. 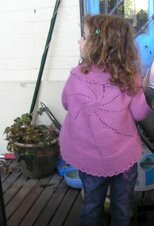 Also in Qunice and Co, Owl, in blueberry. It's for my oldest son and it has a fancy twisted rib pattern. 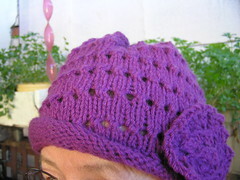 I like the effect, but every knit stitch is through back of loop and I'm getting tired of it. That will be the last hat for a while. I'm thinking about a complicated shawl so I really have to concentrate on the knitting. 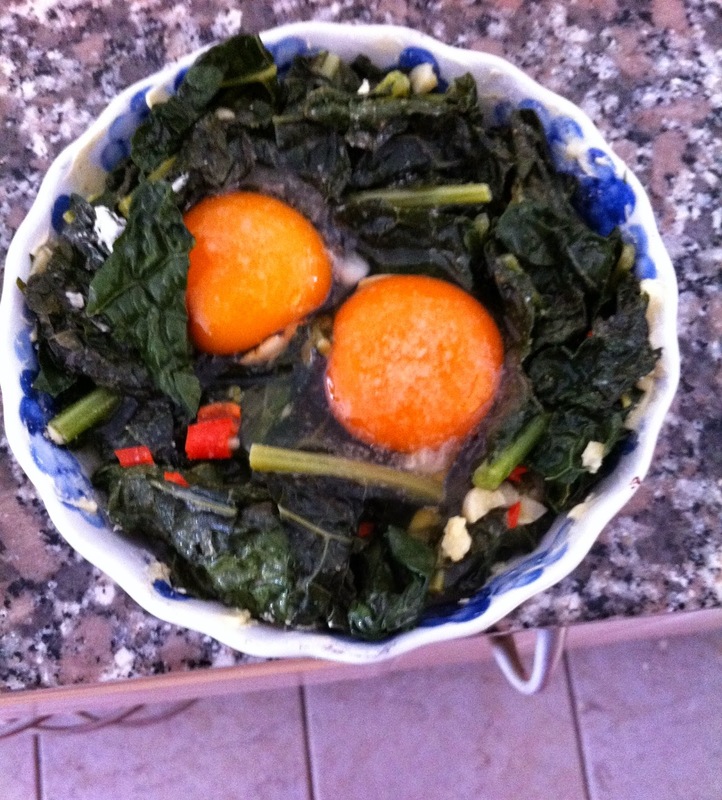 My vegetable box had a bunch of cavolo nero, or Italian cabbage in it. I've used it before and really like it. I steamed it with the water on the leaves from washing it and a tiny bit of butter. To this I added garlic and chilli. Son had never had it but enjoyed it. I discovered that when he had washed up, he had put the small amount of leftovers into a container. I put it into a shallow pie dish, added a bit of Dijon mustard and two organic eggs. I baked it till eggs were done. Leftovers going round and round were a very pleasant and innovative lunch. So life goes on or goes round and round. It does go round and round and up and down. Glad the arms have a matching T-shirt and I hope Miss M is coping with the next round. I hope that your knitting is taking your mind off the worry just a little bit. I love the hemlock hat!!! Sorry for being an absent blogging friend for several months -- not terribly supportive, I know. I am now reading your blog from this point forward. Since it is now October and I see your last post was in July, I am anxious to read your news to that point and am hoping for the best. Right now, WM and I are in Woolgoolga staying in a cabin by the beach and are just about to leave for dinner with DD and family. I will be back to your blog as soon as possible but, be assured, I am praying for you, your sons and your grandchildren even as I type.